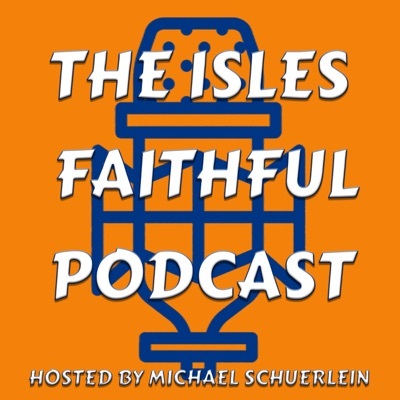 This post was published 1 year 2 months 13 days ago which may make its content inapplicable to the current Islanders roster and/or team news. This site is not responsible for any misunderstanding. May I call you Jon? Ok, great. You may not know me, and that’s fine. Truth be told – maybe a lot of people don’t. That’s fine too. I used to be a pretty influential blogger around these parts. I traveled to cover the team on my own dime, jet set to destinations to cover entry drafts, helped jumpstart major websites – blah, that doesn’t matter anymore. I got married and had kids so my time is now limited to when I’m at work or when my family is asleep. You’re a smart guy, you may have horrible balance in front of a room full of influential people, but that’s fine. Listen, we’ve never met. Charles and I met a bunch of times and he always remembered my name, so that has to mean I’m somewhat memorable, right? I know you’re a good businessman. Have to be, given your success. But we need to talk about loyalty. When you’re loyal to a fault, that’s when people can take advantage of you. The people in Isles Country are waiting for you to leave your mark (again, not on the stage). This team is at a point where they need MAJOR change. Change in direction. Coaching. Staffing. Did I mention direction? You’re off to a great start with the team ultimately returning to Long Island and for that we are grateful. But it’s time to take the next step and bring respectability and a winning attitude back to this franchise. One that will hopefully include John Tavares. A team is only as strong as its weakest link, and right now fans can argue that goaltending, management and defense are the trifecta of things that have to be addressed. Let’s not forget the bottom six forwards too. In case you’re really reading this. How can you sleep at night, especially after attending these games where the team just doesn’t perform up to expectations. It’s always something with this team. Tonight, it was basically no-showing for two plus periods against a team that should’ve been spanked up and down the ice. But no, that’s not what happened. Look across the river at your rivals. While they took strange steps today, they addressed their fans. For us? We basically got the same answer we have every year of Garth Snow’s tenure. What’s broken here? How can things continue to be this broken? Become the owners that we have wanted for 25 years. Give this team the power to win, give this team the desire to win. Give this team the ULTIMATUM to win. Lord knows they tuned out the media, bloggers and fans, a long time ago. PS: I still like and respect you quite a bit. But you’ve got to give us SOME KIND of help here. Unfortunately, the piece put out by Snow was a public letter to Ledecky and Tavares. By stating he is not trading JT or high picks he has basically said, expect no improvements. He blamed injuries (which I agree with) but failed to mention that he traded a top 4 dman and expected to fill those shoes with kids that are offensive minded. I have no idea how long Snow’s contract goes. It has been rumored another 5 years which is truly mind boggling. I just hope Ledecky said that’s fine, reduce the price of the team 10M. Wang basically provided Snow with a no show job for life. Need improvement? Nah. We are good. I think what the Rangers did yesterday was BS to be honest. The Rangers aren’t rebuilding otherwise fans would revolt at those ticket prices. All they did was admit they aren’t making the playoffs and plan to sell off assets so that they may turn a profit. Normally they aren’t profitable until they make the playoffs. But the Isles will continue to go down the road of mediocrity. Honestly, if they are going to miss, miss big. I would rather see them sell players with value that they don’t intend to keep like Halak, Quine, Prince, Nelson, Hickey, Chimera and possibly even Cizikas or Clutterbuck and say we have a solid core but need to strengthen obvious week areas. None of these players would be a loss. The Isles can’t walk both sides of the fence trying to contend without making moves. They can’t just sign JT’s friends in Cizikas and Clutterbuck and say we did enough. They need a change in philosophy and if Snow isn’t willing to get some big tough defenders that will clean up their end of the ice then he better get a A-1 goalie. So far he has done neither. If Snow doesn’t make the playoffs and if JT leaves, the very next day I would fire Snow. Ledecky should start to put a list of GM candidates together because insanity is defined as doing the same thing over and over and expecting a different result. Time to end the insanity.